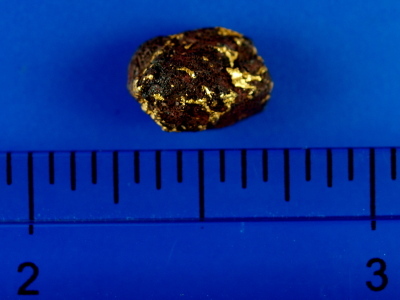 Now here is a neat little specimen from the Australian Outback! This specimens has a beautiful matrix of dark ironstone with small gold outcrops that are visible from all sides of this piece. Creates a really neat contrast. 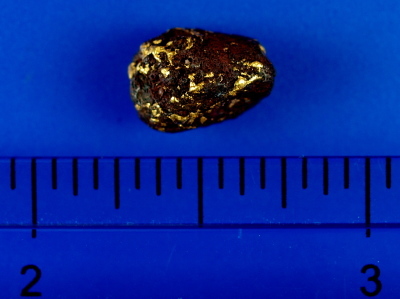 The weight of the specimen is 1.96 grams. 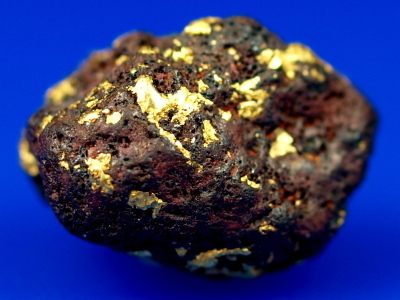 If you are looking for something interesting and unusual for your gold collection look no further.